The National Institute of Health and the National Asthma Education and Prevention Program published these statistics. Nearly 20 million Americans are affected by asthma and 5 million of them are minors under the age of 18. Over 7 percent of children have asthma. From 1980 to 1994 the cases of asthma increased by over 75 percent. 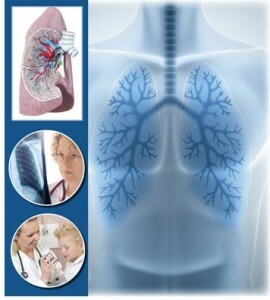 With the constant research going on in asthma, new and improved therapies are being introduced. What this means is that the death rate from asthma is actually preventable. Research has shown that people who control their asthma will prevent their death from this respiratory disease and will lead productive lives. There are asthma research centers all over the world dedicated to finding new and improved ways of managing and dealing with asthma. The Department of Health Services Research is one such organization. In 2001, the U.S. Centers for Disease Control selected the Wee Wheezers program offered by The Department of Health Services Research to be translated into Spanish and Southeast Asian (Hmong) and distributed to the countries concerned. This program is an excellent research based program for the treatment and management of asthma for children under the age of seven years old. The Department of Health Services and Research also has other management programs for children and adults, which have been distributed internationally as well. 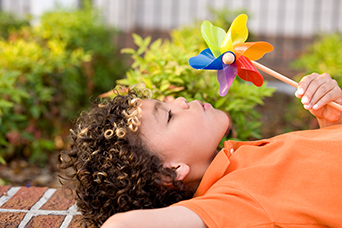 The LET’S Manage Asthma Program, addresses crucial issues involving children, such as exposure to secondhand smoke. This study will focus on prevention, management and education. The Better Outcomes of Asthma Treatment Program (BOAT) is a multi-site focus on a shared decision-making strategy for adult asthma patients and their doctors. This study is focused on ways to educate adults and motivate them to take their controlled medication. At present only half of asthma patients take their controlled medications. Asthma sufferers, who do not take their asthma prevention medication, are at risk for more symptoms, hospitalizations, and a poorer quality of life. The shared decision-making strategy is a joint effort between patient and doctor to manage and improve the life of the asthma sufferers. Often time doctors take a paternalistic role; mandating that a patient do this or that, in this study the shared decision-making will be a collaboration between doctor and patient, talking about the various issues facing a asthma patient, in terms of symptom management, and triggers etc. This research study will study if the patient’s quality of life will improve with shared decision-making and if shared decision-making is a good strategy to use. The National Heart, Lung and Blood Institute fund both the LET’s Manage Asthma and the Better Outcomes of Asthma Treatment studies. Some promising research has been done into the link between genes and asthma. When the exact genes are identified, doctors will be able to predict who may be at risk for asthma and help manage the disease more effectively. Research is also going on to determine the link between asthma and the role Interleukin 4 and Interleukin 5 have to play in asthma. These substances are known as cytokines. They may influence or trigger asthma. If this is so, medication can be used to prevent or at least control asthma symptoms. Another area of research focuses on T cells and their role in asthma. T cells defend the body from a great many infections. T cells 1 inhibit the inflammation and swelling of the air passageways, while T cells 2 seem to contribute to the inflammation. Current research is going on to find ways of producing more T cells 1 to develop new treatments based on these findings.